As a result of a personal injury, you may have suffered facial injuries which could potentially lead to scarring. 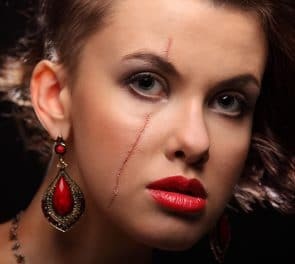 As a Personal Injury Solicitor, I would say that valuing facial scarring is one of the most difficult injuries to assess. Every individual’s case will be assessed on a case by case basis. For example, the value may vary depending on whether you are male or female, your age, your complexion, visibility etc. It is important to note that there is no exact science to value a claim for facial scarring. My starting point is usually to look at colour photographs of the injury that have been taken at the time of the accident and then comparing them to colour photographs taken at the time when a client wishes to settle their claim. It is always worthwhile to get someone to take the photographs for you at a conversational distance because this gives a snapshot of what family and friends may be able to see. I will also ask my clients if they are conscious of the scarring and whether they use make-up for example to try and cover the scarring. ‘The assessment of general damages for facial injuries is an extremely difficult task, there being three elements which complicate the award. First, while in most of the cases dealt with below the injuries described are skeletal, many of them will involve an element of disfigurement or at least some cosmetic effect. Second, in cases where there is a cosmetic element the courts have hitherto drawn a distinction between the awards of damages to males and females, the latter attracting significantly higher awards. That distinction, arising from cases that stretch back into the mists of time, has been reflected in succeeding editions of these Guidelines. Such distinction appears difficult to justify and has not been retained. In consequence the previous brackets have been merged and are currently wide and overlapping. They will be narrowed in future editions to the extent that judicial decisions warrant it’. Given the limited guidance in the JC Guidelines above it is useful to look at case law to assess similar facial injuries and awards that have been received. In order to value the claim for facial scarring not only is it useful to have photographs of the scarring injury, but medical evidence. It is worth obtaining GP and hospital records to assess what treating doctors have noted in terms of whether the scarring is likely to be permanent and what treatment if any has been received to date. It is also useful to have a client examined by a medico legal expert to comment on the severity of the scarring and to comment on whether the scarring is likely to improve with time, whether it will be permanent and whether any recommendations can be made for treatment such as scar revision surgery for example and what the likely cost of that could be which can be added to the claim. It may be appropriate to instruct a Plastic Surgeon expert to prepare a medico legal report or a Maxillo Facial expert, if for example a fracture or orthopaedic facial injury has been suffered in addition to scarring. If a client is very conscious of the scarring and it has resulted in psychological symptoms then it may be necessary to get a medico legal report from a Psychiatrist or Clinical Psychologist.